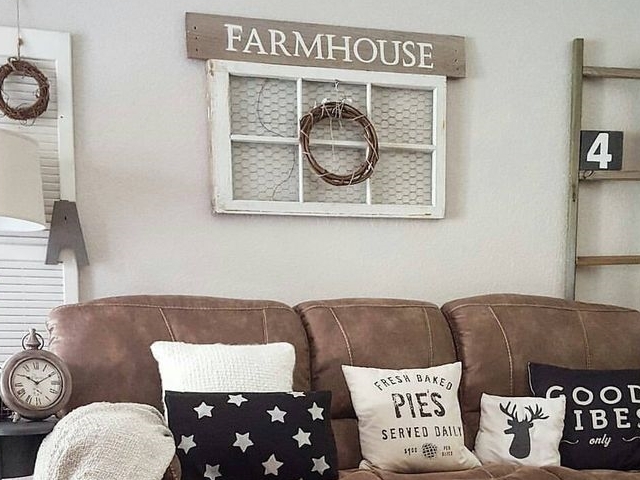 When you hear the word ‘Farmhouse’ your mind quickly jumps to the thoughts of a cozy place with a rustic look and casual ambiance. 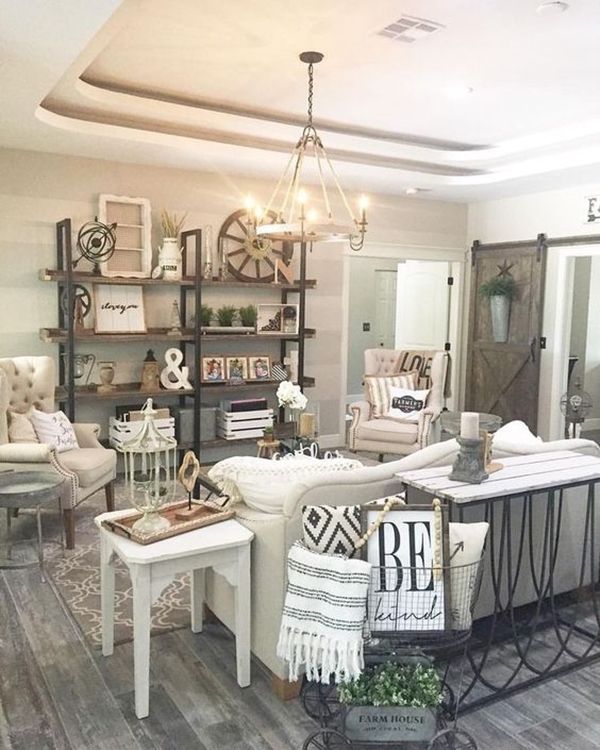 From the past few years, the farmhouse style décor has become very popular. 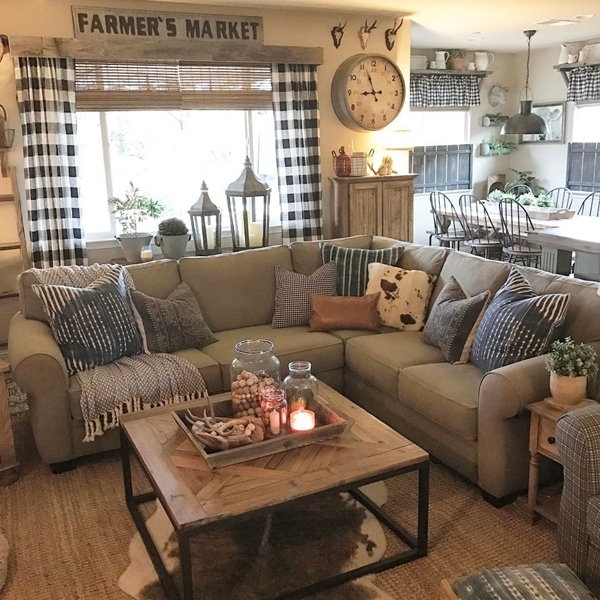 Given its appealing décor and comfort with a vintage touch, no doubt the farmhouse décor has been in demand. 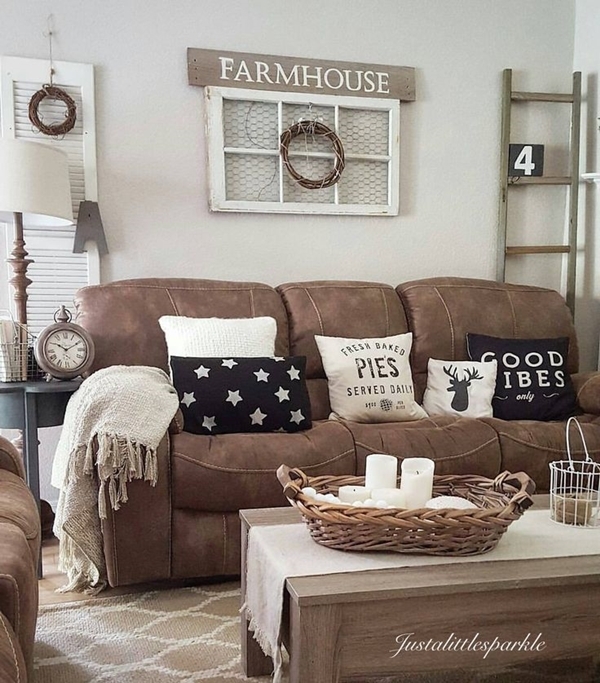 If you’re thinking of giving your living room that cozy touch then these Modern Farmhouse Living Room Decor and Design Ideas will definitely help you. And while you’re at it, you must see these lovely kitchen ideas. Experience the feel of the farmhouse living even in your apartment home in the middle of the concrete jungle. 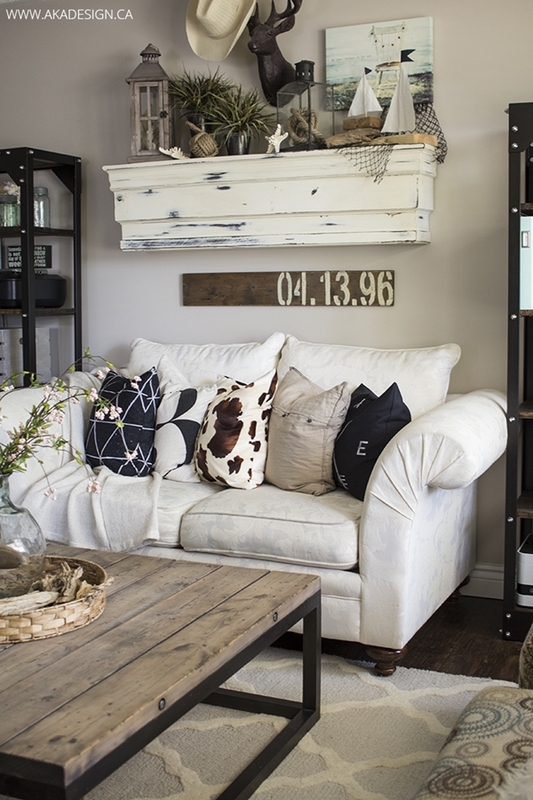 With all the perfect furnishings and natural décor items, you can easily create a comfy and nostalgic space for a living room. Got a thing for succulent plants then stop them from dying for no reason! 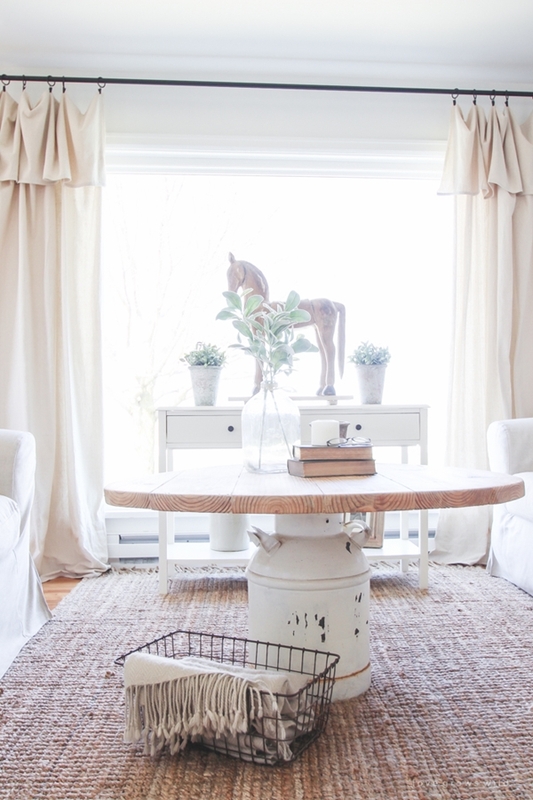 The right furniture is a key to the perfect farmhouse décor. However, buying a whole new set of furniture won’t be convenient. 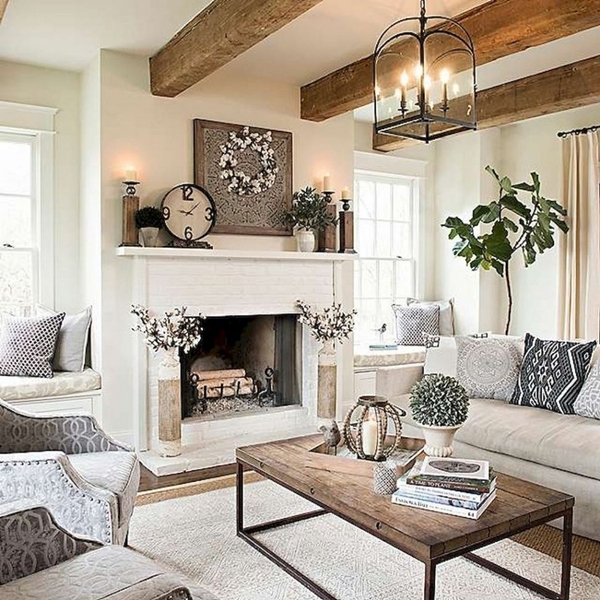 But add some rusty coffee table and some cotton or linen slipcover in neutral shades and cozy pillows to get that effect. Don’t throw away that toilet paper roll, you might be able to use it here to make some great decor item. 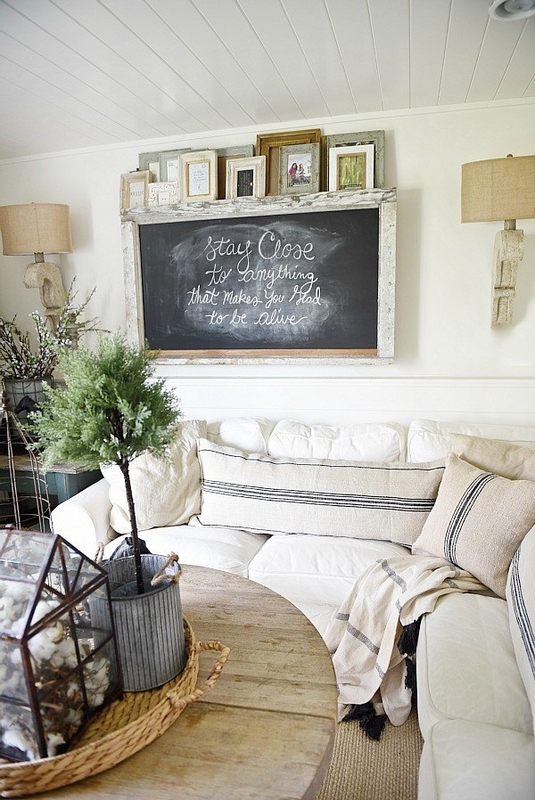 A smart use of window trim gives you the perfect farmhouse living appearance. And not just that but you could even add a door trim as well to get that perfect shabby look. 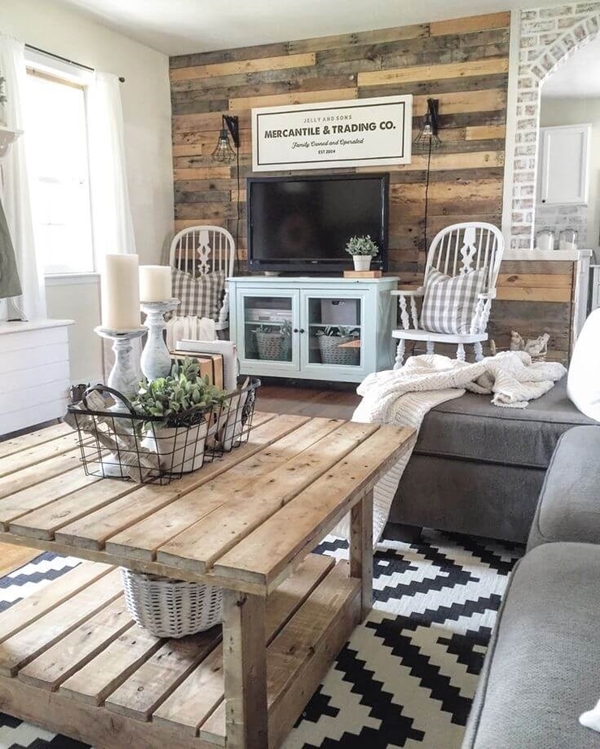 The use of an old wooden plank adds a great rustic touch to the whole space. 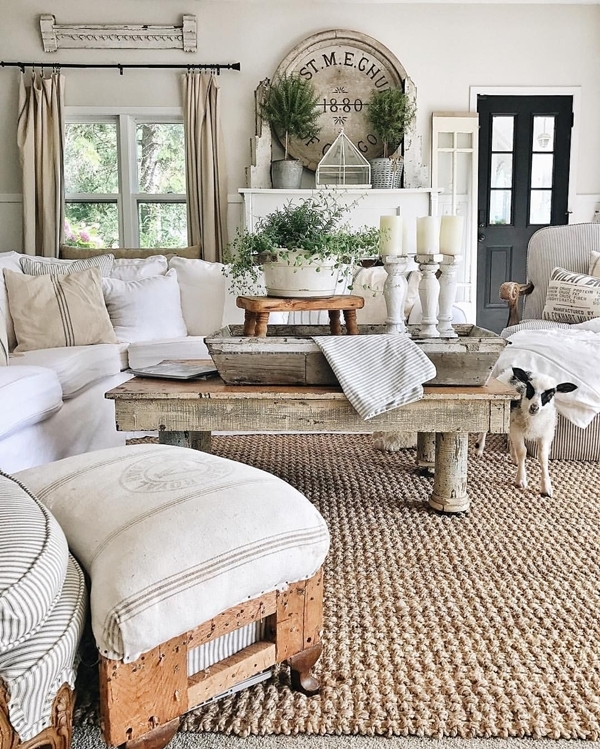 While the soft furnishings in a neutral colour palette with a thick rug gives the living room a complete country look what adds further rustic feel is the shabby candlesticks placed on a chic coffee table and an old container serving as the pot for the plant. This way you could make use of your old kitchen utensils that you no longer use. 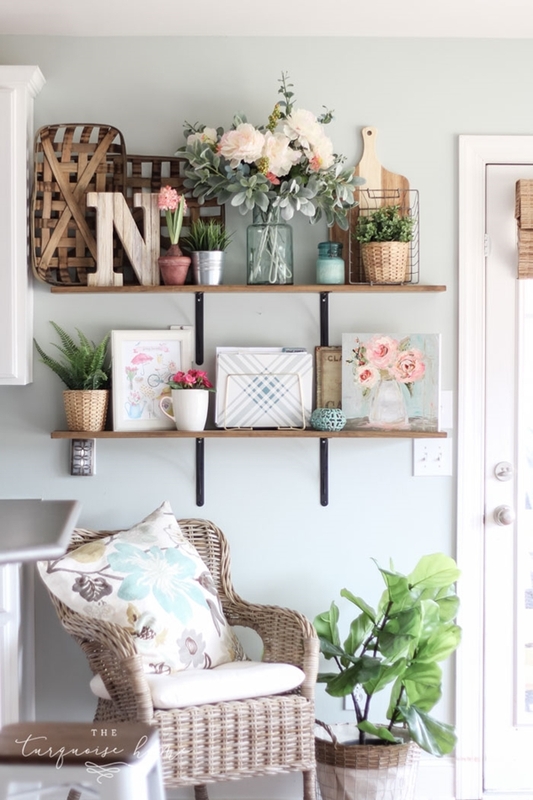 Keep your home fresh and full of positive vibes with the help of these feng shui tips. It’s a great feeling when you’re using something old to make something new that just takes your breath away by the time you’re finished with it. 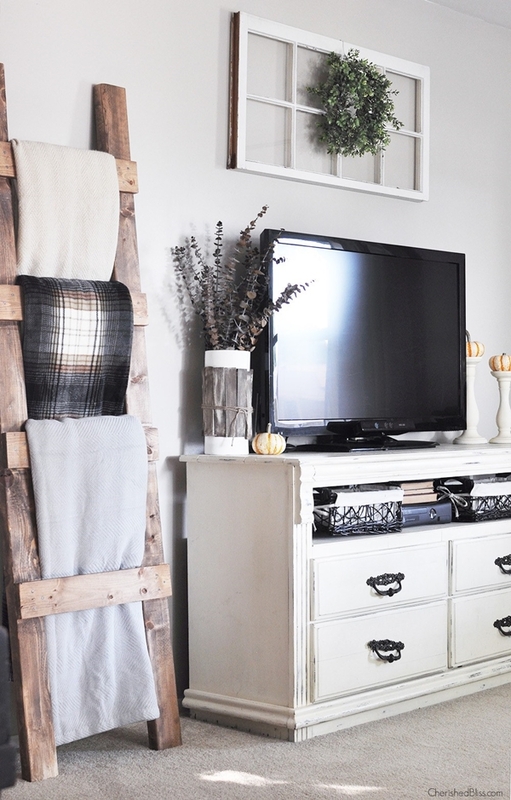 This DIY TV cover is one of those things. 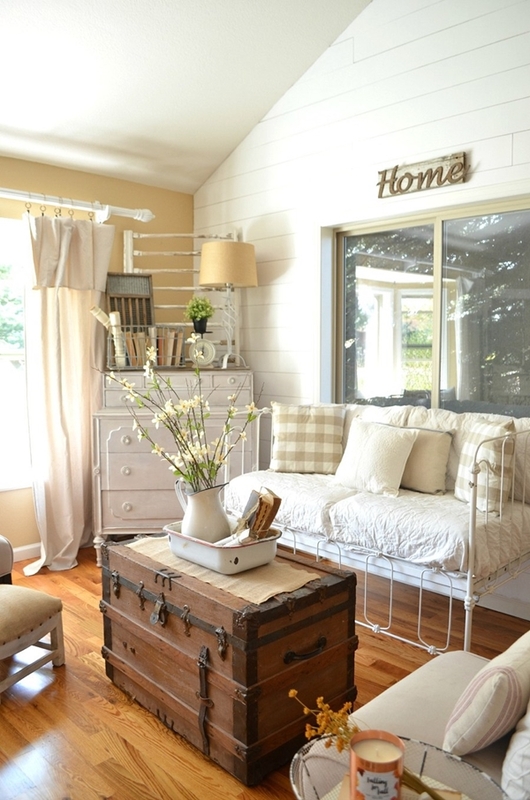 The shabby look is granted by using the old doors which is – I have to admit – is a brilliant idea. Add the wreaths because they are indeed the doors. 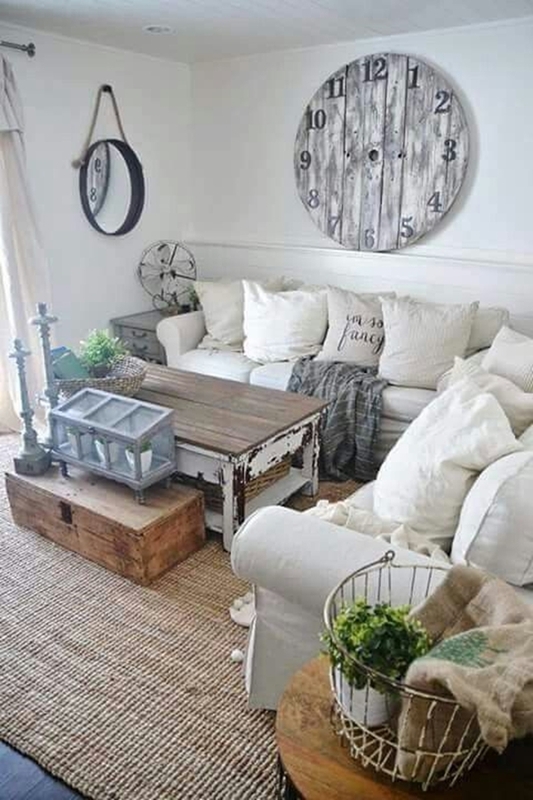 All things old are rustic so using the old trunk as a coffee table adds the perfect shabby look to the living room. 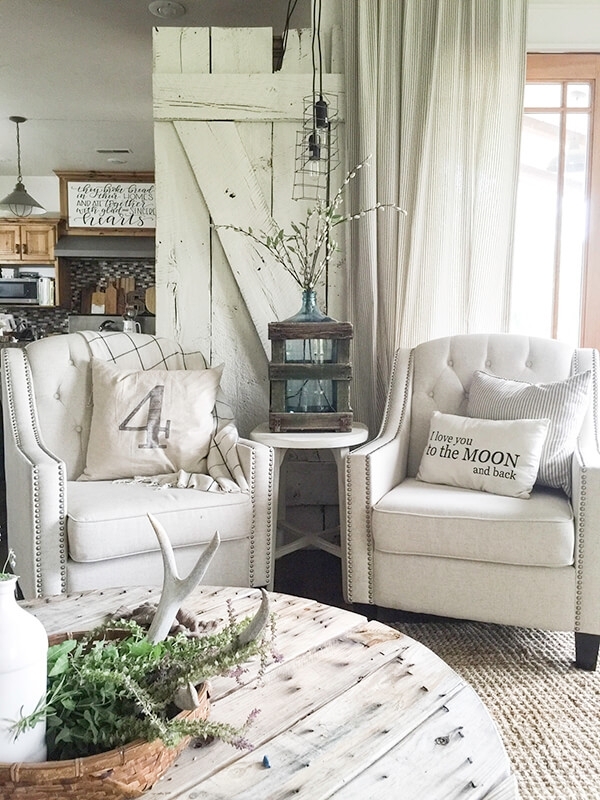 A milk tank filled with faux blossoms gives the perfect summer vibes and an old door in the corner completes the whole farmhouse living room. 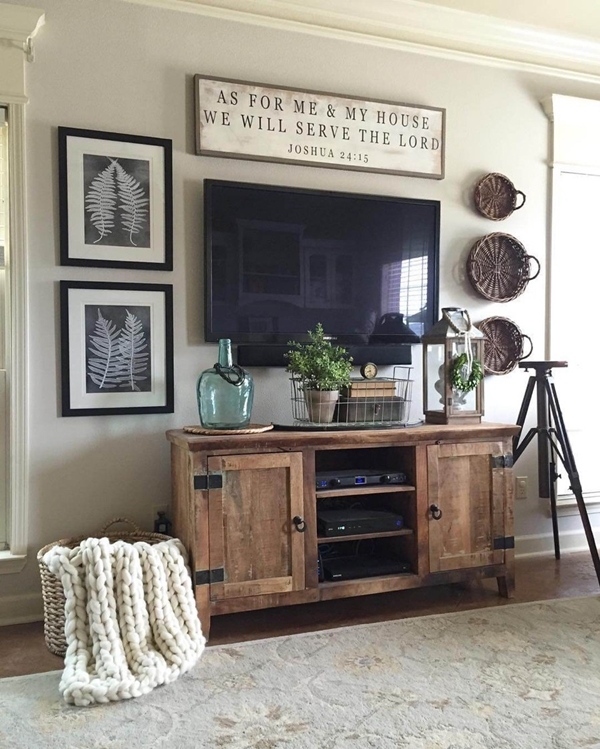 The textured baskets certainly add some cozy feel to the whole country style living room. Filled with creamy flowers and dusty greenery, the baskets are complemented with the soft furnishings in neutral textures, a vintage lantern as a centerpiece and an old bucket for holding flowers. 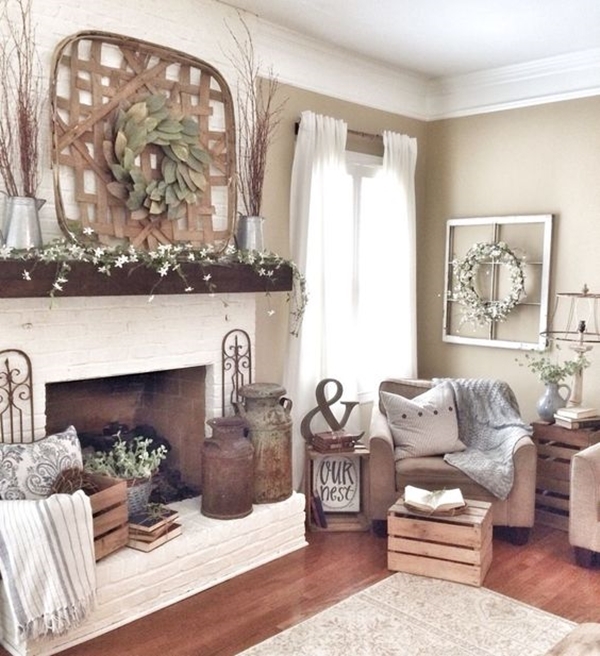 A cozy farmhouse living room! 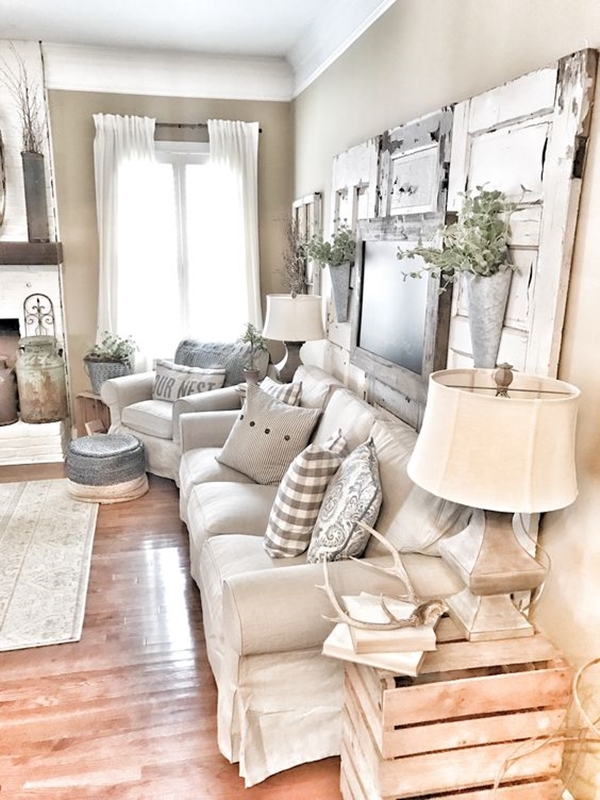 With lots of flowers sprayed here and there the living room gets its perfect farmhouse décor with the stenciled curtains, shabby candlesticks, and vintage jars and container that give the mantel a beautiful look. The country-style chair and rug in Moroccan pattern give the complete farmhouse feel. 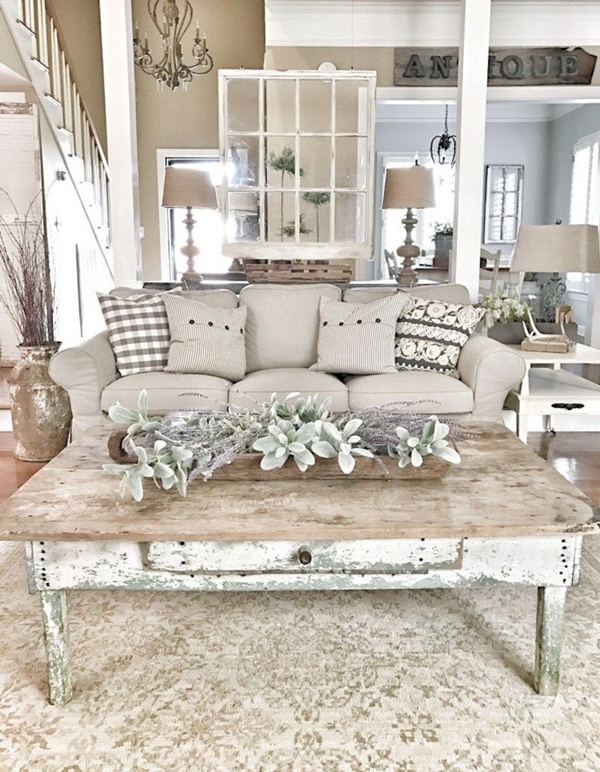 For a shabby chic look, you need to stock up on some rusty old things that will give the living room a complete farmhouse look. 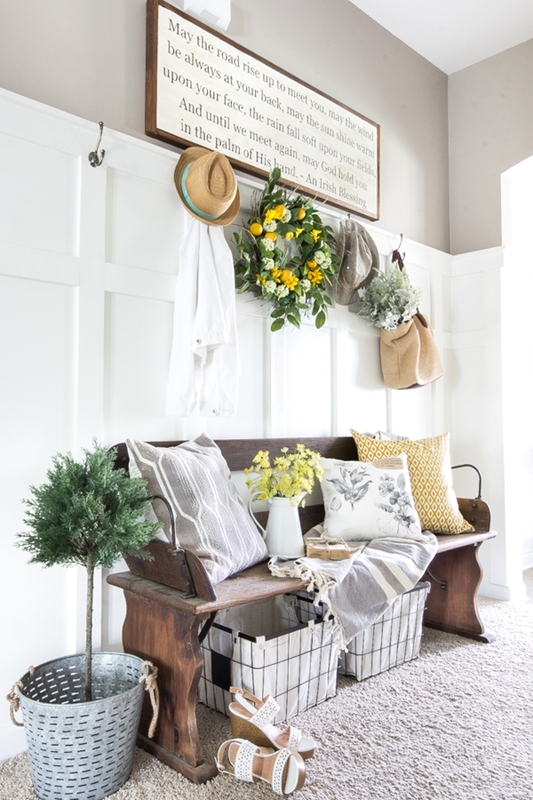 A white couch nestled along with the wood basket full of green plants and twine balls accentuates the vintage look. The giant clock and tin windmill are complemented with other vintage décor items. 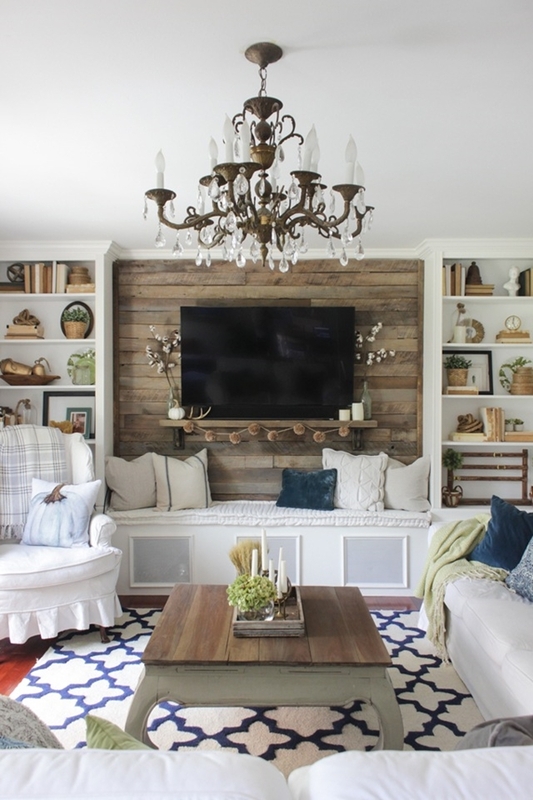 The spotlight of the living room is the pallet accent wall that is enhanced with cotton stems, antlers, marble pumpkins, a couple of candles and a pom pom yard. A wood tray filled with candles and plants accentuates the whole farmhouse look. You could use some old table for the repurpose or you can get one at an unbelievably low price. 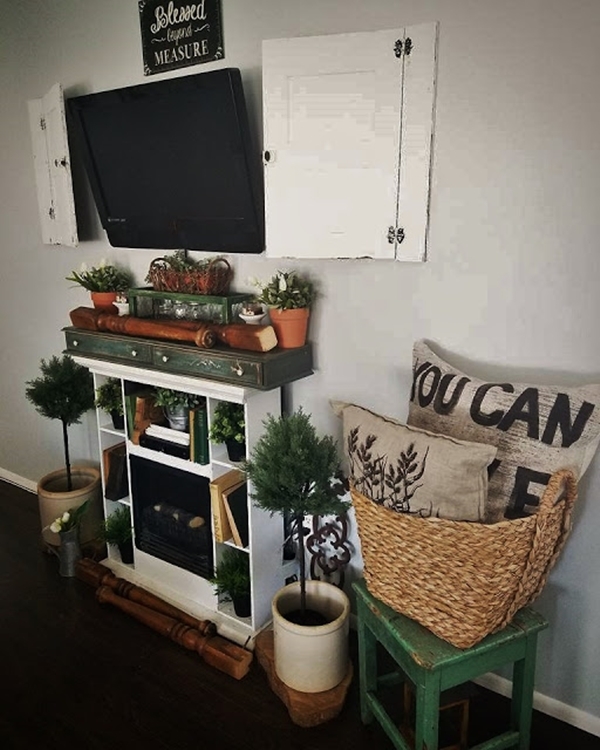 This is another great DIY project that you can go for and get a chippy white lime finished table that feeds our need for rustic furniture. 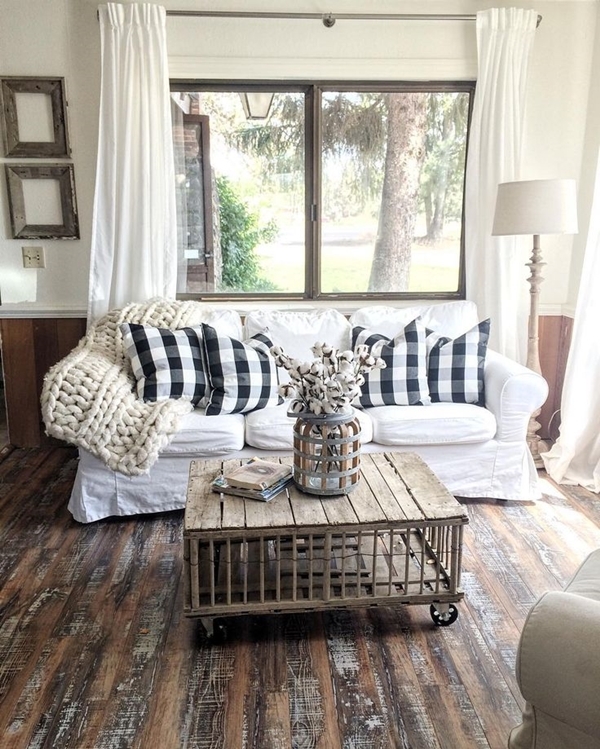 A vintage cage and textured wood basket add more appeal to the coffee table. 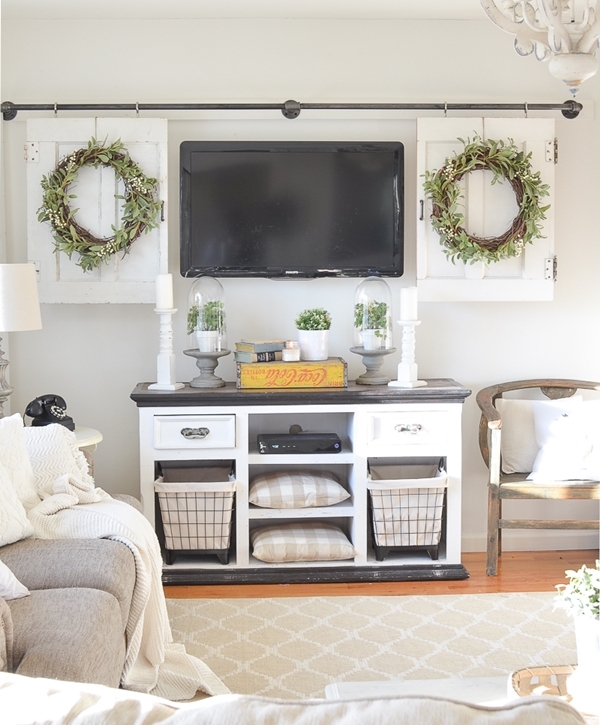 Using these ideas, you can turn your living room into a perfect farmhouse one. Just a little bit of patience, a lot of hard work and some cool ideas will make it possible for you. And use these amazing plants that are very useful as a part of aesthetic beauty.